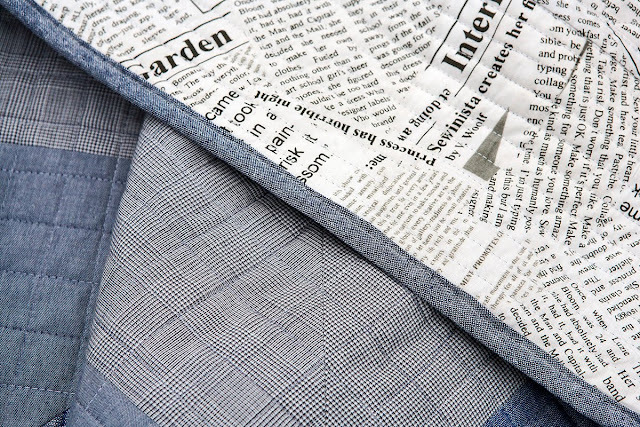 My super soft double gauze quilt is finally finished and I am so pleased with the result. With all of it really and in particular my decision to add the border via QAYG. So let's have a look at some images, shall we ? The quilt is big at about 76" (194 cm) square which is exactlty what I wanted and fits very nicely onto a large double bed. It certainly is not a sofa quilt. I love the way the HSTs play with the different shades of denim blue, light and dark greys and the couple of black triangles give the whole ensemble a little more interest and focus. 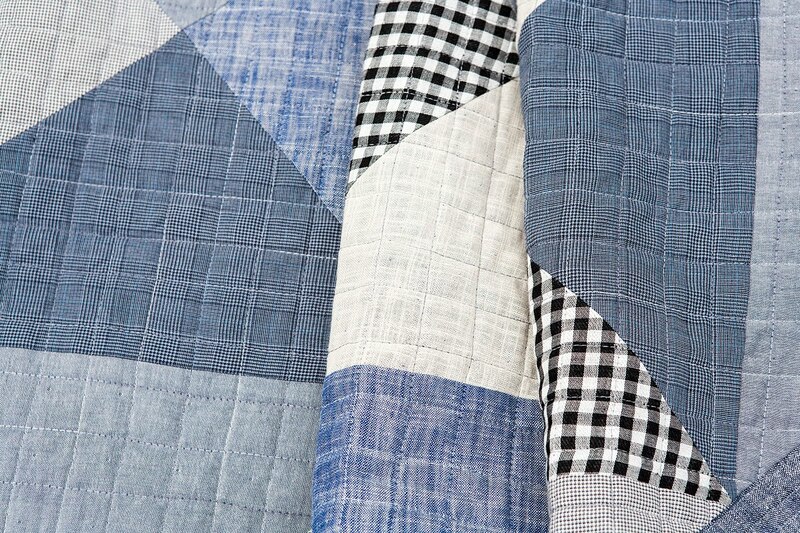 I quilted densely in a 1 inch diagonal grid which supports the diagonals from the HSTs. Because the double gauze is much thicker than normal quilting cotton, the intersections have quite a lot of bulk although I ironed the seams open. Therefore quilting was a little more laborious than I would have liked it to be. I quilted with a variegated Guetermann thread on the top and with my favorite ice grey Aurifill on the back of the quilt. Both threads blend in well and the variegated thread adds to the denim and grey shades of the quilt top. I used a text print from Carrie Bloomstone 'Paint' collection for the back; it is such versatile print and works well with many quilts. But sadly I am out, having used it on a few others already. And finally the binding. For this quilt I wanted the binding to blend in rather than contrast. So I used some more of the Essex yarn dyed linen/cotton. It's a fairly thick fabric which makes binding a little more tricky but it worked well; just a bit more attention while sewing was required. And that's it. One more quilt done. Sadly I am so busy right now with non-quilt related activities that I won't be able to start a new one for several months I fear. Instead I am knitting a lot as it is easier to pick up when I have a few minutes here and there. It's quite possibly therefore that this blog may turn into a knitting blog for a while. Thank you for sharing the details of your quilting process. The quilt is just glorious. 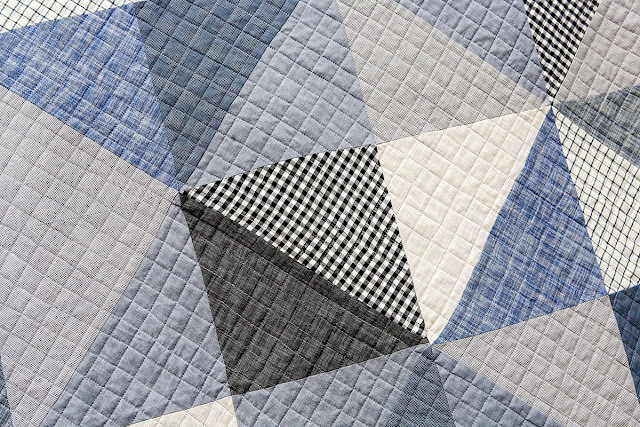 I love your fabric and thread choices, the pattern, and your quilting. All of it. Job well done! Lovely - so calm and the bits in the border are genius. 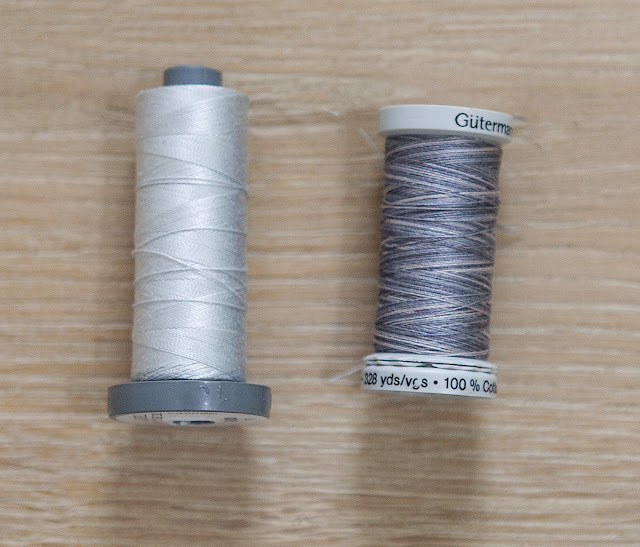 Sad you won't have time for quiltmaking for a bit! 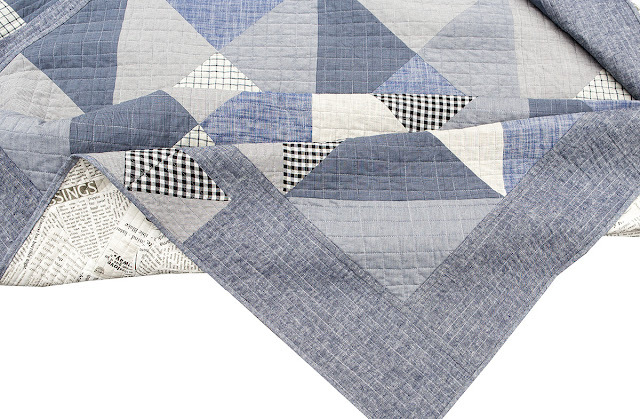 its beautiful and one quilt thats going to age so beautifully too. 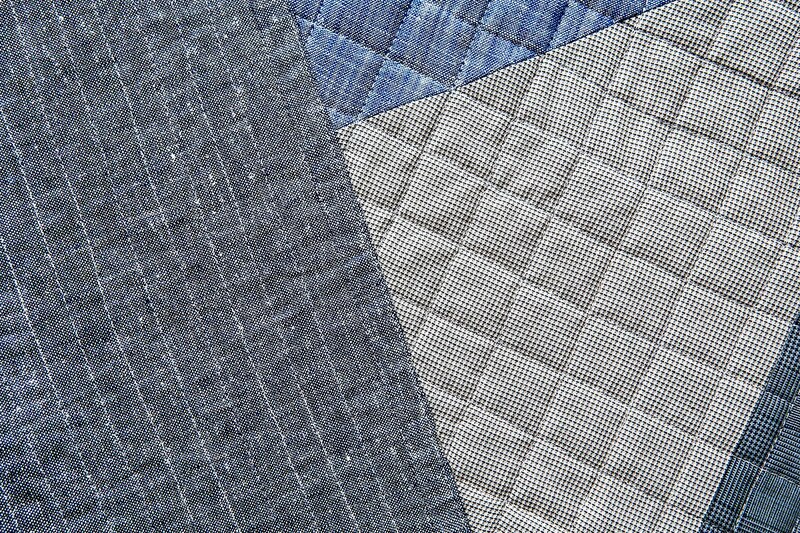 The different shades of blue in your quilt are just beautiful, and I especially love those little HST in the border! 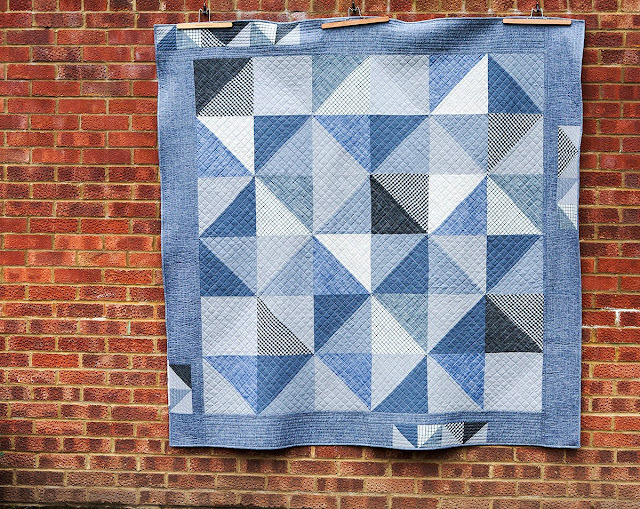 This quilt is beautiful and knitting is always nice to see too. I am always knitting too, as it works for those few minutes of time.